Call Us NOW and Ask Us About Our Special Spring Services! Want to Enjoy the Summer from a Gorgeous Stone Patio? Are you bored with your lackluster landscape? Why not transform your landscape into a backyard escape with the help of Supreme Green Landscaping, LLC? We offer a wide array of services to get your property into a near-perfect condition. Whether you need routine lawn maintenance, a full landscape redesign or a stone patio, you can count on our specialists to do the job. Contact Supreme Green today to start improving the look of your outdoor space! 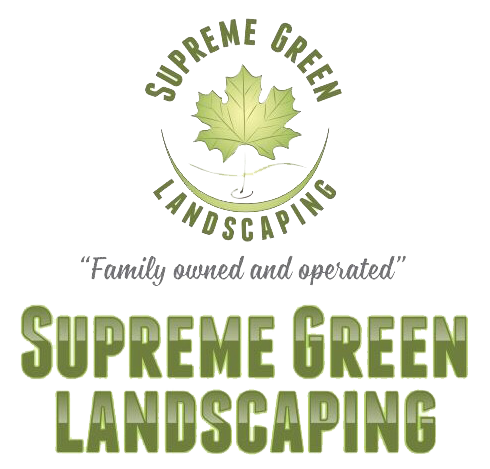 What can Supreme Green Landscaping do for your lawn? We also offer snow plowing and seasonal planting services to our Danbury, CT and Fairfield County clients. Count on Supreme Green Landscaping to handle whatever you need to perfect the appearance of your property. Your lawn won't take care of itself! As much as we want our lawns to be self-sustaining, they need care and attention to thrive. If weeds are growing and brown patches are showing, call Supreme Green Landscaping. We can make your grass greener and your landscape cleaner. Contact our landscape service in Fairfield County and Danbury, Connecticut today to schedule your no-obligation estimate.